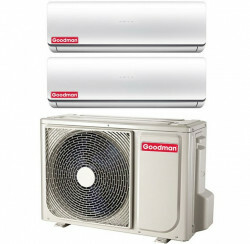 The specialized climatic company «AirGreen» has been selling and installing ventilation, heating and air conditioning systems for 15 years - the highest quality equipment from world famous manufacturers such as “Kool King”, “Zephyr”, “Lennox”, “TTI Elite”, “Air Tempo”, “Comfortmaker”, Goodman”, “LG”, “Concerto”. The Multi-Zone Mini Split Systems efficiently cool and heat several rooms through the home. Based on the homeowners’ requirements, two to five inside units are connected and installed to one open-air unit. Inside units vary by size and each creates its own “zone” of comfort, permitting the cooling or heating or of individual accommodations, halls and open-spaces. The Multi-Zone Mini Split Systems have a lot of advantages, for example, they can excluding energy and regulator temperatures independently in up to eight separate zones, with a single outside element. With accessible floor-mounted indoor options, wall-mounted, ceiling cassette, concealed slim-duct proposal multiple inside unit styles to meet all comfort home needs. The Multi-Zone Mini Split Systems regulate needs, providing continuous luxury and savings energy. If we start to list all the advantages of Multi-Zone Mini Split Systems, it will take a lot of time. One of the main features of such specialized climatic equipment is an interesting design and a fairly compact size. To install the Multi-Zone Mini Split Systems on the wall, you do not need much for this place. This kind of climatic equipment has a huge capacity and can provide you with the necessary comfortable temperature throughout the year. 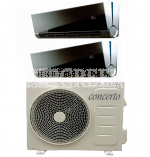 The Multi-Zone Mini Split Systems are characterized by a noiseless operation - you will not even notice that in your room this air conditioning system works. You can control the technology using a conventional remote wireless control panel. Alternatively, you can control the air conditioner with a special remote controller. Presented on our site the Multi-Zone Mini Split Systems have excellent functionality, in particular, they can boast of sleeping mode, turbo mode, various speeds of ventilation rotation. The cassette unit in the Multi-Zone Mini Split Systems is designed for four channels. With their help, a qualitative distribution of ventilated air in the room occurs. Another advantage that Multi-Zone Mini Split Systems possess is the ability to easily mount a climate system in suspended ceilings. If you want, Multi-Zone Mini Split Systems can be decorated without problems with the help of, for example, a beautiful interior grille. The Multi-Zone Mini Split Systems are capable of providing flexibility and freedom of action. These climatic units supply ventilated air masses through air ducts or through lattices in walls or in the ceiling. The Multi-Zone Mini Split Systems can be used with a standard wired zone controller or an optional wired central controller. Why should you make a purchase and order a setup ventilation, heating and air conditioning Multi-Zone Mini Split systems from the specialized climate company «AirGreen»? The specialized climatic company «AirGreen» suggestions a great selection of Multi-Zone Mini Split Systems from top names such as “Kool King”, “Zephyr”, “Lennox”, “TTI Elite”, “Air Tempo”, “Comfortmaker”, Goodman”, “LG”, “Concerto”, that are faultless for multi-zone use. Each of this systems contain the outside unit and the number of inside units you need. The specialized climatic company «AirGreen» is engaged in the purchase, sale and subsequent installation all models of air conditioners, ventilation systems, heating systems directly from production companies, which are presented on this site. The climatic company "AirGreen" specializes in the sale and installation work of original systems of ventilation, heating and air conditioning. 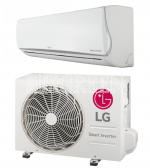 If you make your order on our website the presented models of air Multi-Zone Mini Split Systems, you will receive products from world brands of high-quality and a first-class installation and installation specialists from real professionals and professionals in the specialized climatic company «AirGreen». Remember! You will not only find a good fitter of climatic equipment, but an undistinguished professional who is profoundly familiar with the principles of work the Multi-Zone Mini Split Systems and is able to carry out professionally subtle adjustments of climate technology. Order our climate equipment and order a first-class device from the world's leading brands!